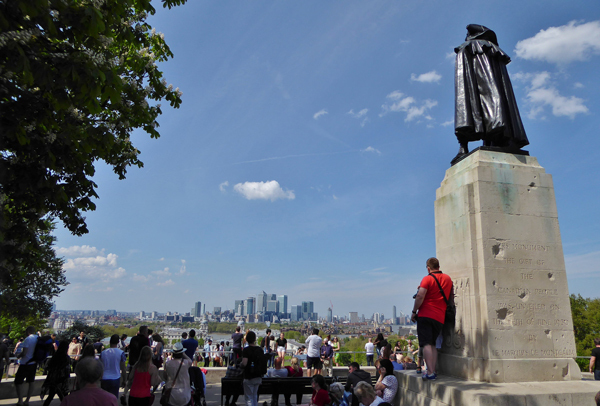 Another of London’s protected views is that from the Grade II-listed statue of General Wolfe in Greenwich Park. 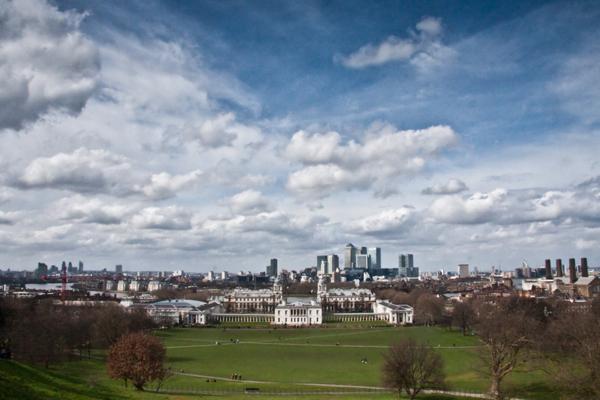 The panoramic scene takes in much of the park itself as well as The Queen’s House and the Old Royal Naval College and across the River Thames to London’s Docklands and around to St Paul’s Cathedral (the key point in London when it comes to protected views). The bronze statue, which stands on a terrace just outside The Royal Observatory (home of Greenwich Mean Time) atop a stone plinth, was created in 1930 and commemorates General James Wolfe (1727-1759), whose victory in the Battle of Quebec (also known as the Battle of the Plains of Abraham) with the French secured Canada for the British. Wolfe has local links – he and his father apparently lived in a house on the edge of the park and he is buried in St Alfege’s Church. The statue, unveiled by the Marquis de Montcalm, a descendant of the commander-in-chief of French forces who also died at the Battle of Quebec, was a gift from the Canadians and was designed by Dr Tait Mackenzie. The statue’s plinth incidentally is pitted with bomb fragments from a bomb which exploded at the Royal Observatory during World War II.